My friend Paul is in town from Pennsylvania. He's here for six weeks, and we are catching up on things. I was the second in line for an invitation to see Peter Murphy at The Rave in Milwaukee. We had a deal. He bought The Rave tickets, and I paid for a few drinks while there. Believe me, a couple of drinks at the Rave, and I had my ticket price covered. There was no opening act for the show, and it seemed like the road crew was in no hurry to get the show started. I overheard a bartender say "are we having a show tonight or not?" It was that laid back. By the time Peter Murphy went on, there were no more than 350 fans in the crowd. No matter, the people that came out on a Sunday night were very happy to see him. Some fans felt that his performance in Milwaukee was the best they have seen in years. I must say that as the night went on, I was amazed by his energy on stage. He worked the crowd, but more impressive was how he worked his voice. The guy hit the notes all night long. I might have heard one sour note, but it was nothing worth complaining about. Another great thing was the mix at the Rave. How rare is it to go to that venue and actually hear everything clearly. This would be the first time in many years for me. Killing Joke comes to mind as the worst mix I had ever heard there. It was so bad at Killing Joke, that I thought it was another band altogether. It was so good at Peter Murphy that I pulled out my ear plugs for a few songs, just to get a full blast. His band was tight, and workmanlike. What I liked best about the Peter Murphy show was his lack of pretension. The man just called it like it is. He skipped songs, added others, and even sang a couple cover tunes. As I was thinking that this guy is like a gritty David Bowie, he starts to sing Space Oddity. 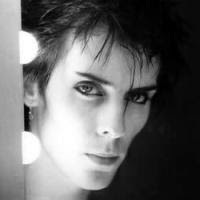 His band was playing their last North American show on this tour, and Peter Murphy had the entire crew come out and take a bow. That was a nice touch. They work just as hard as the band, so why not give them props. As the lights went up and the crowd cleared out, I ran a friend who we walked to her car. We got the usual aggressive demands for cigarettes when we got to our car, and after paying off the street hustlers with tobacco, we drove over to the Sugar Cane on Forest Home. Crazy, that Sugar Cane.